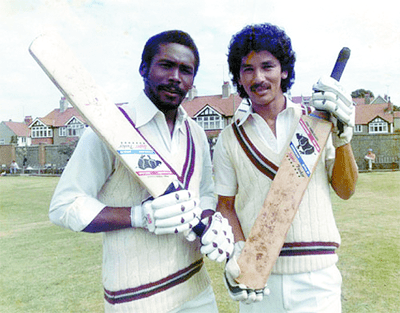 Hilary "Larry" Angelo Gomes (born 13 July 1953) is a former Trinidad & Tobago and West Indian cricketer. He toured England with the West Indian Schoolboys team in 1967 and he made his first-class debut as a left-handed batsman for Trinidad & Tobago versus the New Zealanders in 1971/72. He joined Middlesex in 1972 and played between 1973 and 1976. He won a Benson & Hedges Cup Gold Award. He became a successful number three batsman for Trinidad and West Indies. He was also part of the team which reached the 1983 Cricket World Cup finals in England. Larrys flamboyant "fuzzball Afro" was not matched by flamboyant strokeplay; he regularly kept bat and pad close together. The Packer years gave him his first international opportunity for West Indies and later, when the fences had been mended, he still kept his place. He was the slim, calm figure of reason amongst the mayhem that was created by the massive strokemakers that surrounded him. In this regard he was not a the average Caribbean batsman at all: slightly built, upright, elegant in that way that left-handers have, but an efficient batsman in times of strife rather than an exuberant destroyer. Gomes scored six centuries against Australia, most notably one on a bouncy Perth strip in 1984 that set up an innings victory. However, he is also remembered in Australia as the batsman whose wicket Dennis Lillee took during the Boxing Day Test in Melbourne in 1981 to break Lance Gibbss world record for most Test wickets. Gomes stroke range was very limited, favouring the twitch to leg, the odd cover drive, some slides down the gully and a sort of hook. He tended to leave anything wide of the stumps and waited for balls on bowled off-stump, which he worked away on the leg side. 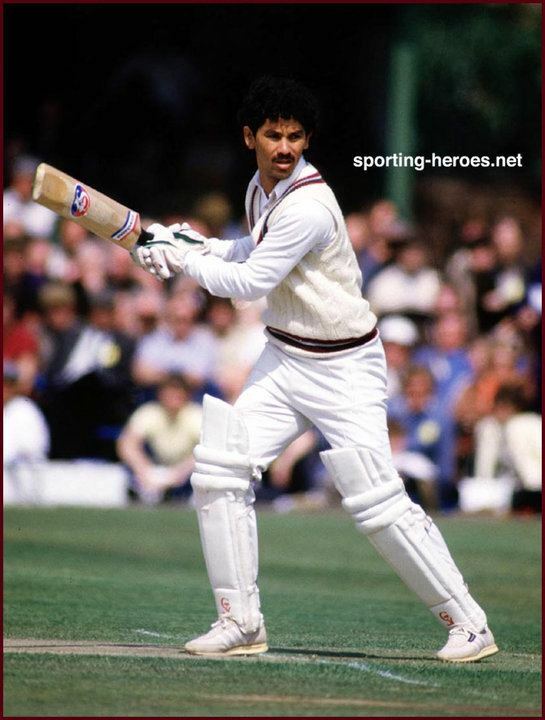 In an Indian summer to his career, some 20 years after touring England as a schoolboy cricketer, he was named Wisden Cricketer of the Year in 1985 and the Larry Gomes Stadium in Malabar, Arima, is named after him.